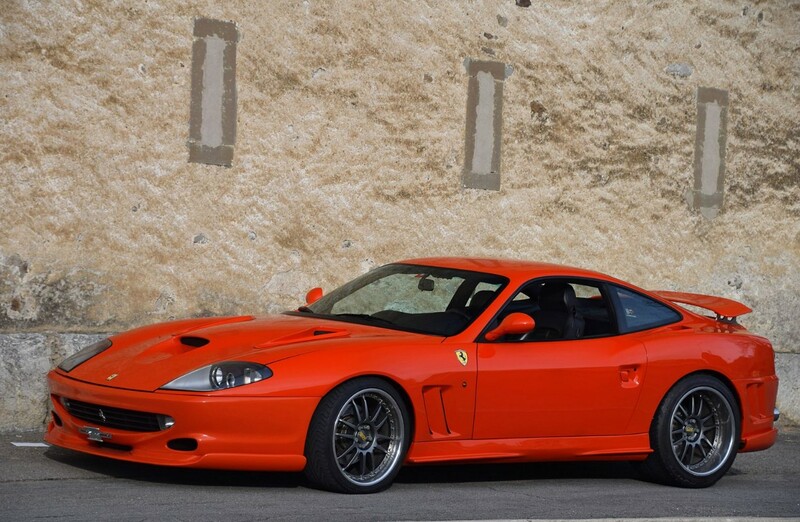 Introduced in 1996, the 550 Maranello was a huge step forward for Ferrari, as this was the replacement for the Testarossa-based F512 M. The 550 Maranello was replaced by the virtually identical 575M Maranello in 2002. It was a return to front-engined V-12 Ferraris. But this is no ordinary 550. Sbarro, the Swiss car company that has done an array of things over the years, from building their own wacky cars to building replicas, was apparently trying to be to Ferrari what Ruf is to Porsche when they went to work here. Or something – I think these were designed for a wealthy client who wanted something special. The main difference here is that they slapped a racy body kit on it (which cost about €60,000 when new). It’s still powered by the same 485 horsepower Ferrari 5.5-liter V-12 which means it’s still a 198 mph car. Sbarro built two of them, the other car was destroyed in an accident. It’s a nearly 60,000 mile car that has a rebuilt gearbox and has been fully serviced. If you want the rarest 550 variant (even if it’s aftermarket), here’s your car. It should bring between $95,000-$105,000. Click here for more info and here for more from this sale. This entry was posted in Uncategorized and tagged 2000, 550 maranello, auctions, cars, ferrari, oldtimer galerie toffen, sbarro, sports cars, supercars by classiccarweekly. Bookmark the permalink.